Then, you will be able to define what information you would like to receive. Note that you can set some answers as required, by selecting checkbox Required next to the type of field. Choose predefined types (field type) of contact information – for example, a first name or second name; you’ll allow us to build visitor profile automatically. Edit a Label to define what the visitor will see in the empty field. Many of our Clients who want to gather contact information want their users to confirm that they have read and agreed with Terms & Conditions. 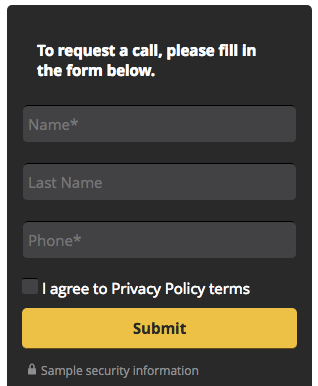 You can add a checkbox to Survicate’s widget so that you gather users agreement automatically. Clicking on “+” sign, which is located near Add confirmation will add a field to your contact form.